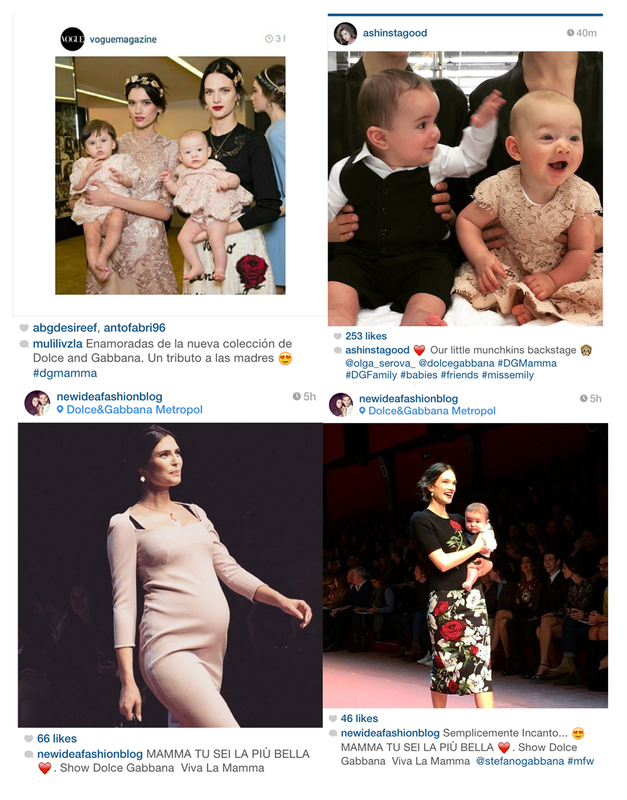 The plus belle crush of all is the love I have for my kids and Dolce & Gabbana mirrored this mom/baby bond with their awesome Autumn Winter 2015 collection at Milan Fashion week! 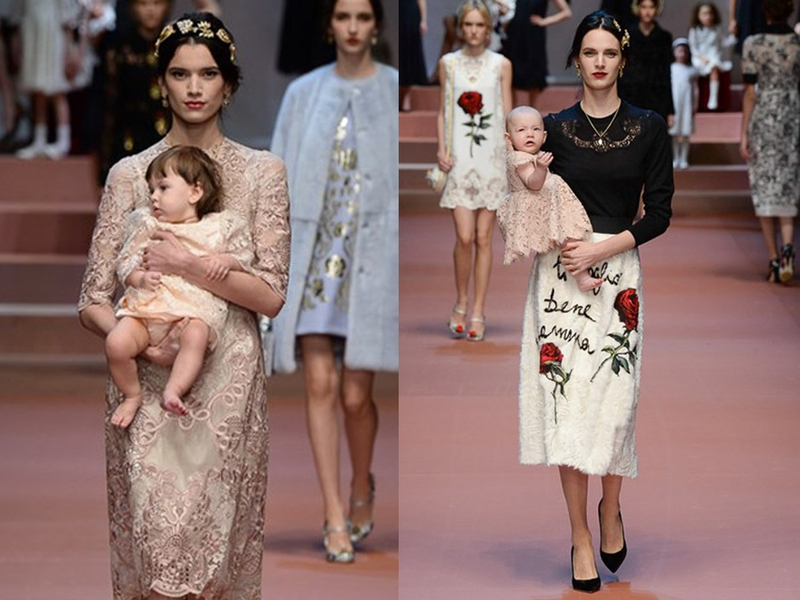 Domenico Dolce and Stefano Gabbana are known to show the whole famille with multiple generations in their campaigns but today’s collection, “Viva La Mamma”, was an ode to mamas everywhere. Not only did the designers show their wearable creations with scrawled slogans such as “Je t’aime maman” (I love you mom) but the show was a celebration of motherhood. Toddlers in matching gear to the moms, bambino’s perched on hips and perfectly posed children strutted alongside their gorgeous mothers. The invitation featured children drawings and wobbly handwriting with messages like ‘ti amo mama‘ (I love you, mom). The kiddie’s writing and pictures reminding me that the Italian duo did create a spectacular wedding dress for the ultimate Hollywood mama, Angelina Jolie, that had her brood’s drawings embroidered on her gown. 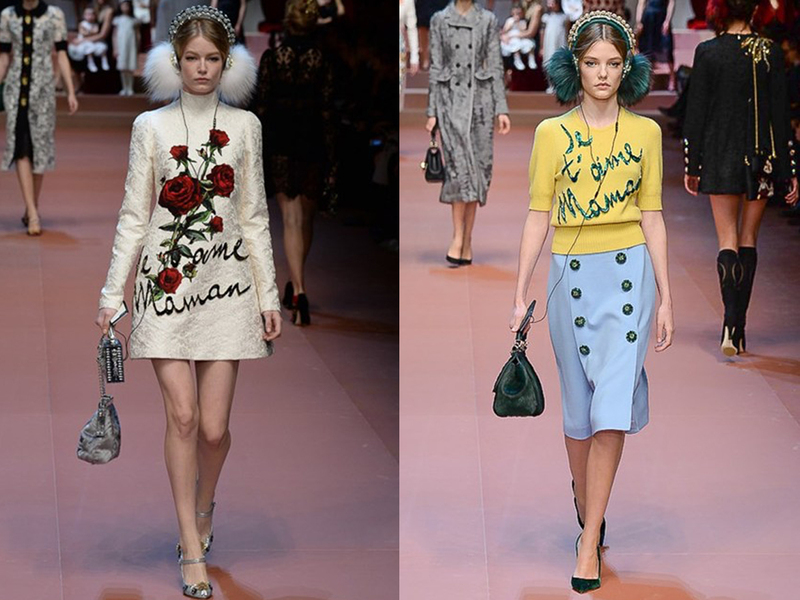 Along with Dolce & Gabbana’s signature roses and lace details emblazoned on feminine dresses, models were accessorised with jewel and fur encrusted headphones (to keep out the baby noises perhaps?). The show’s signature tune was the Spice Girls’ 1996 hit “Mama” and Bianca Balti’s pregnant belly received an emotional applause from the audience. It’s not often that the luxury fashion world allows the blurring of women with children (not surprising as they are pretty messy at times!) but Dolce and Gabbana have shown that it can be done with beauty and grace. Bravo! 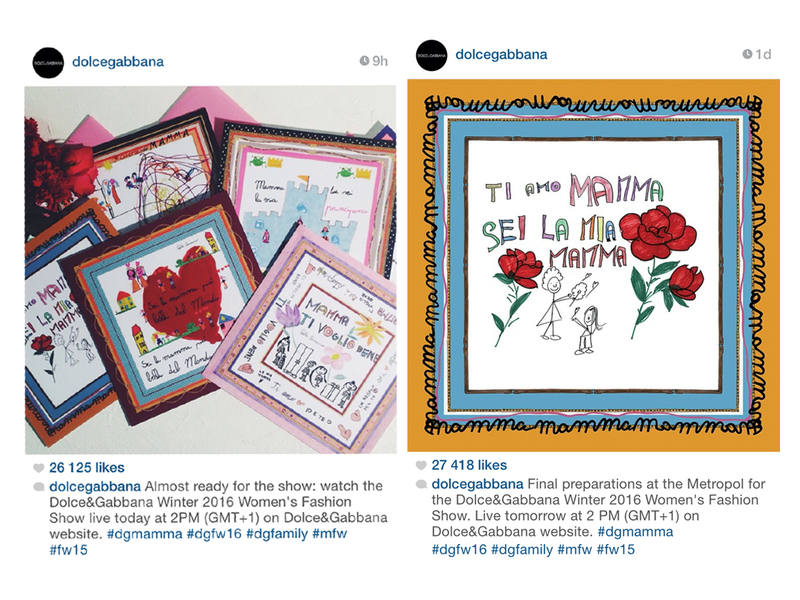 Check out #dgmamma on Instagram and Twitter.